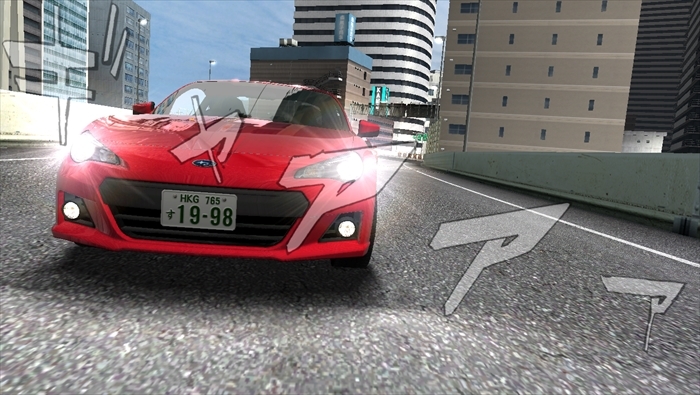 This game lets you challenge true high-speed racing—pick your favorite vehicle from over 80 different models of Japanese and international cars then put handle, accelerator, brake, and 6-speed transmission to use as you barrel down the actual urban expressways of Japan at upwards of 300 km/h. 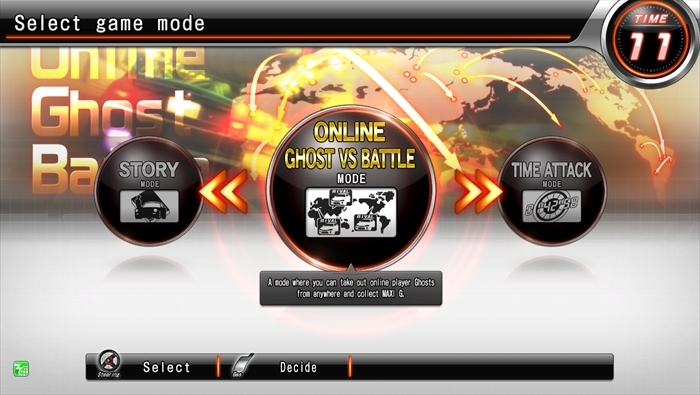 Story Mode is where the original characters from the comic appear as your rivals in the story. 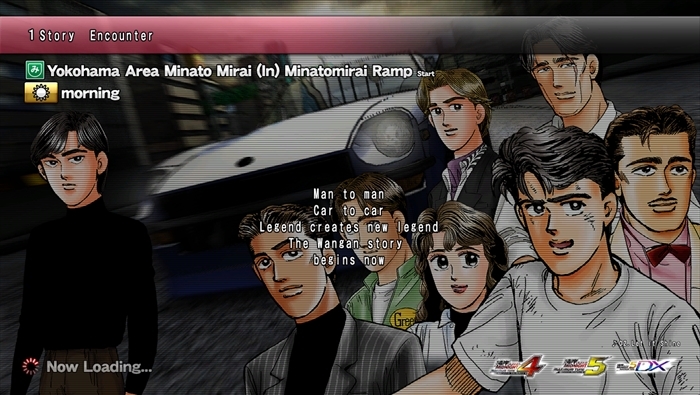 Your mission in story mode is to race against these characters and defeat them. 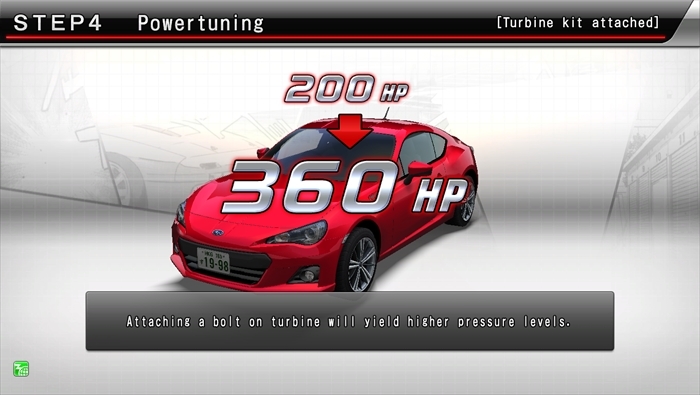 In addition, one of the features of this game is "Tuning (Step-Up)." 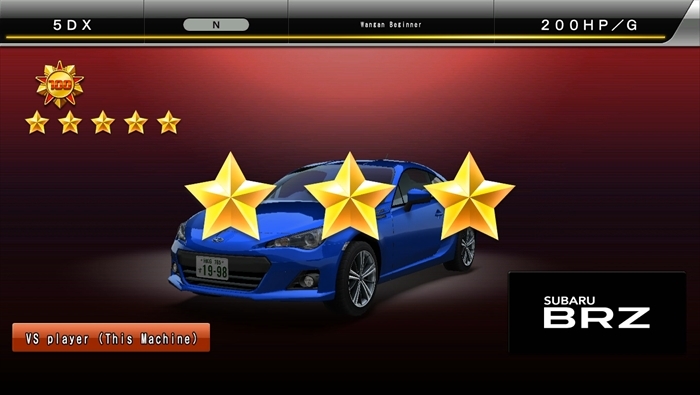 Being able to tune your car (step-up) is a feature of Story Mode. 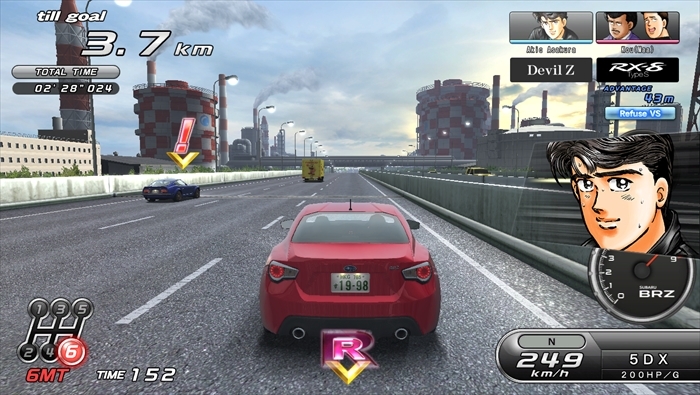 In this mode, you can race against up to three other friends that are with you at the store. 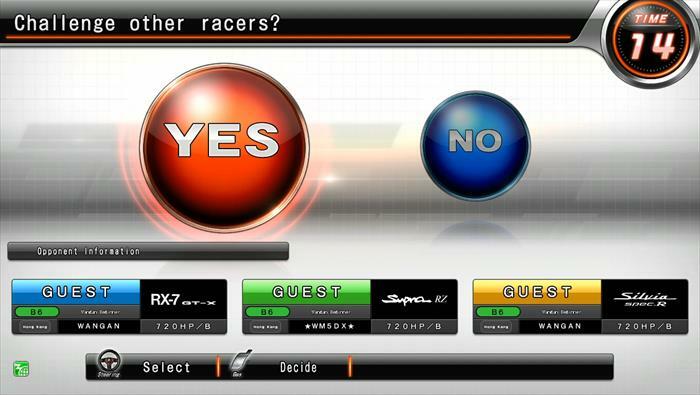 Thanks to the Free Branching System, your racing conditions will keep on changing, allowing for a thrilling battle just like a real road race. 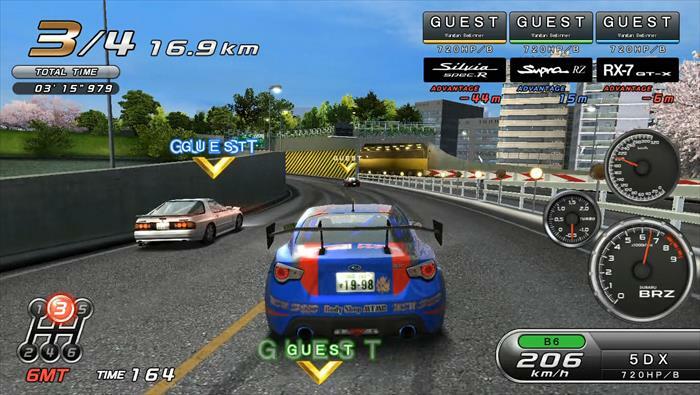 Even if there aren’t any opponents where you are, you can choose to race against a “ghost”, which is a recollection of the racing tactics and habits of your friends or other people who’ve played in-store. 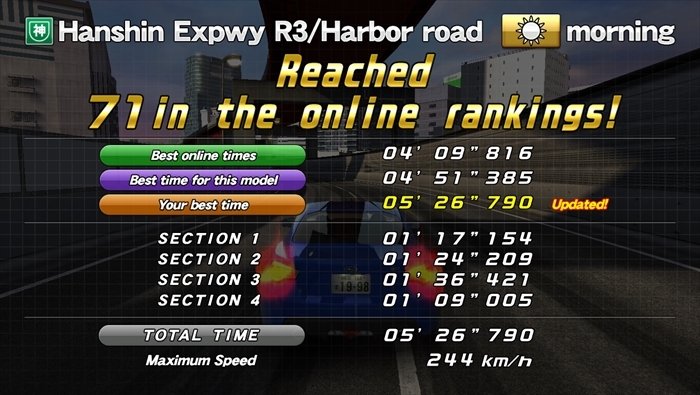 Ghosts are connected to a massive online network, meaning you can have a thrilling head-to-head race with your favorite ghosts, anytime and at any store. 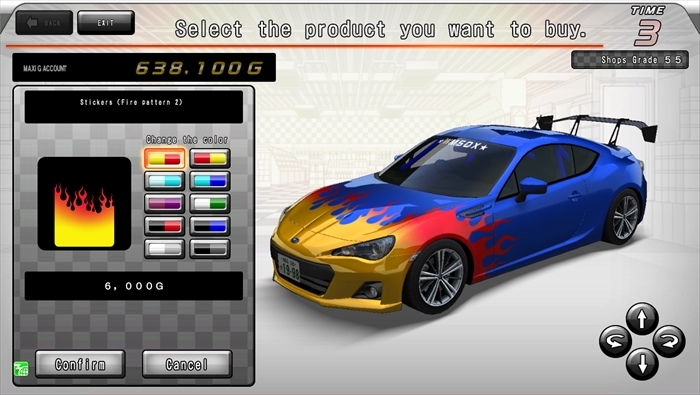 You can also spend the Maxi G you earn in online ghost versus battle mode to purchase dress-up parts that let you customize your car’s appearance to your liking. 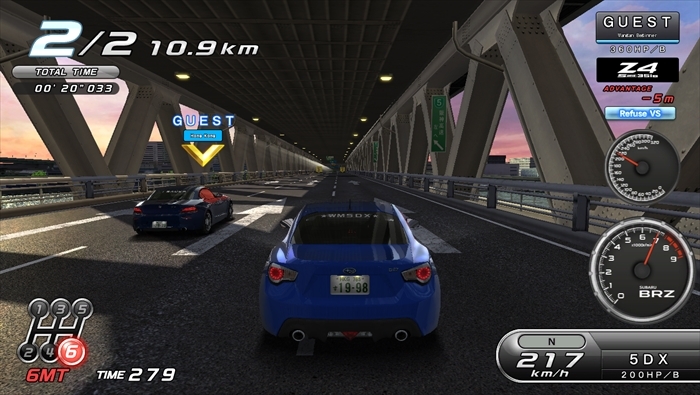 Race the courses alone, trying to beat your own personal best time. 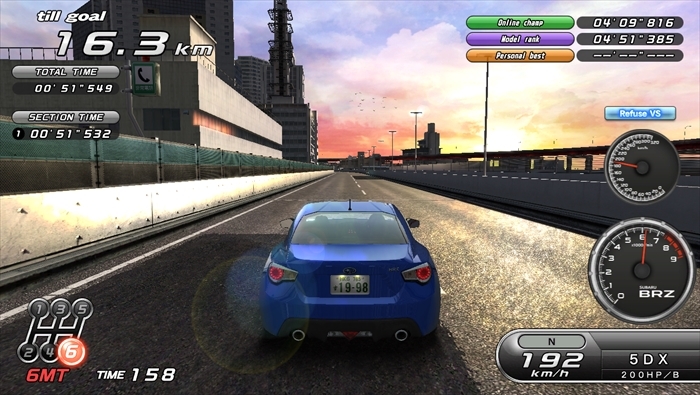 This is a sober, cool-headed racing mode where you push you and your car to the very limit, discovering just how fast you can go without any interference from other cars or rival drivers. 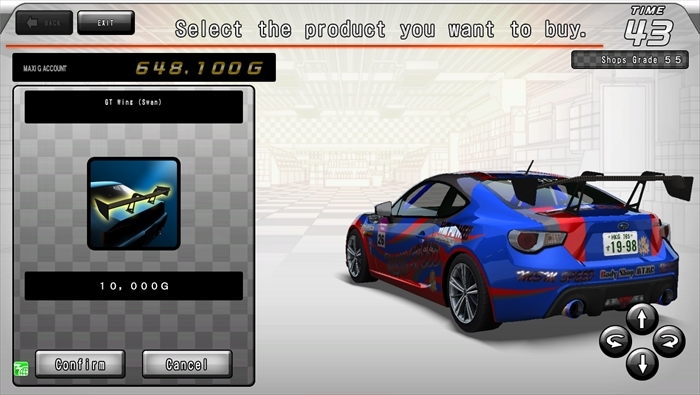 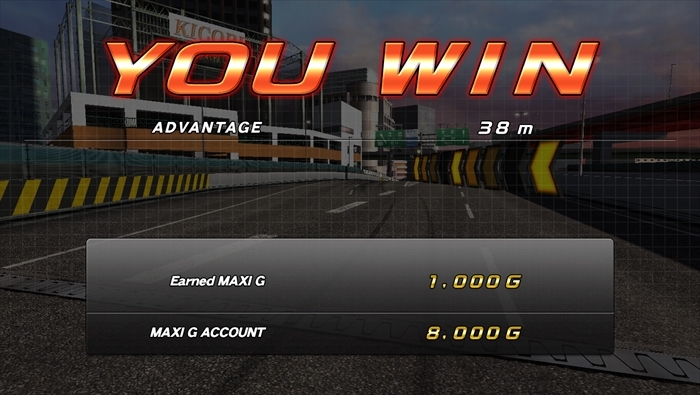 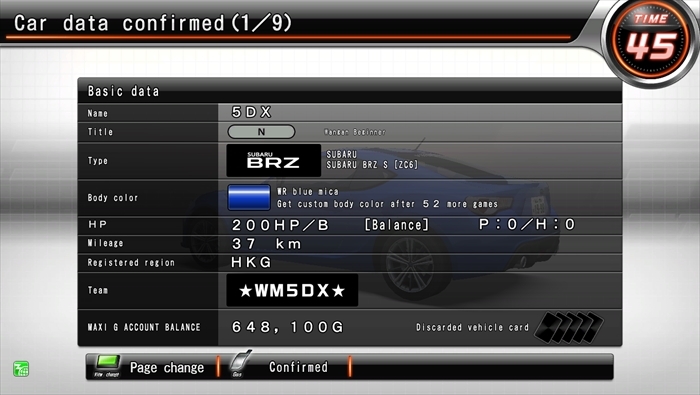 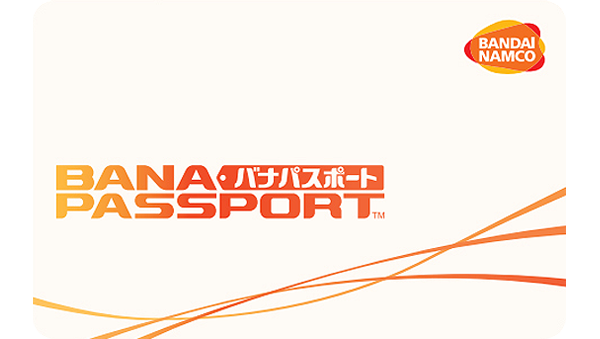 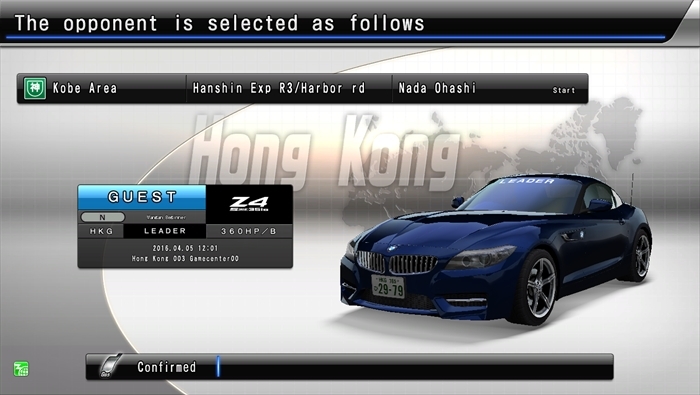 You can buy it on either the "drive driver unit" or the "Wangan Terminal."